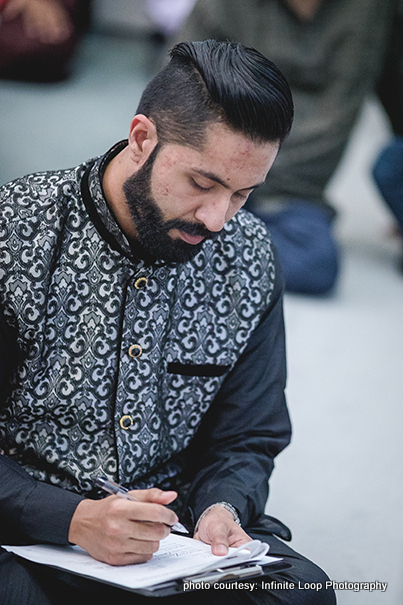 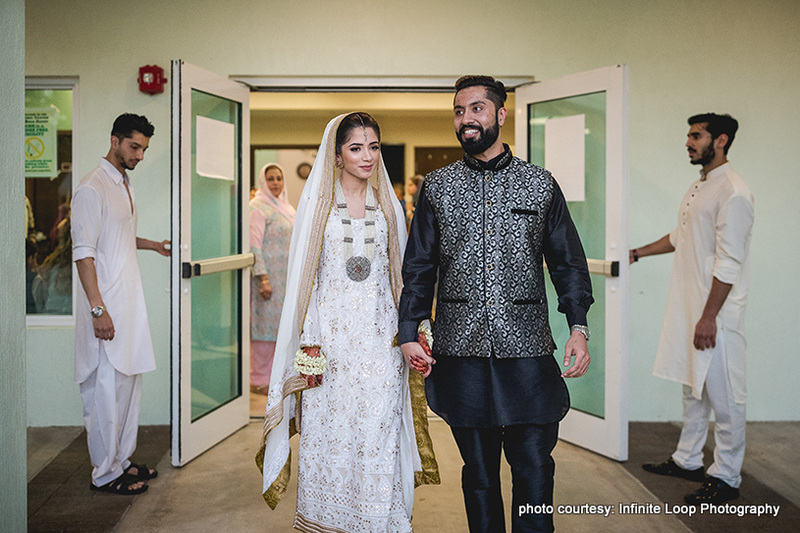 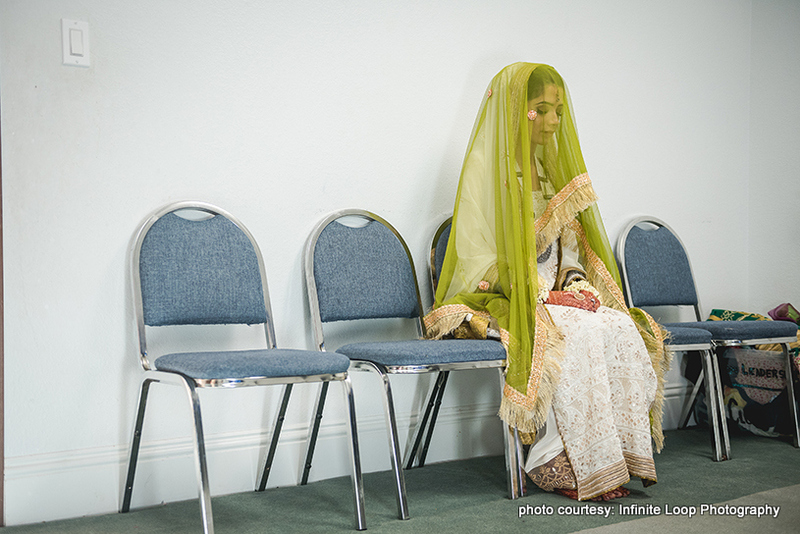 When Waqas Memon first saw Mariam Kiran Mirza at a local mosque, the attraction was instant. 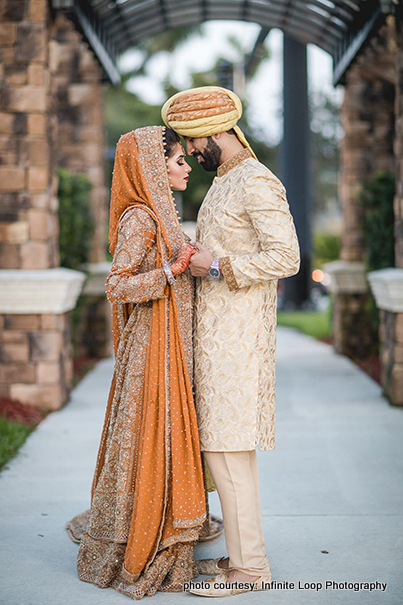 He knew he had to find some way to meet her and get to know her better. 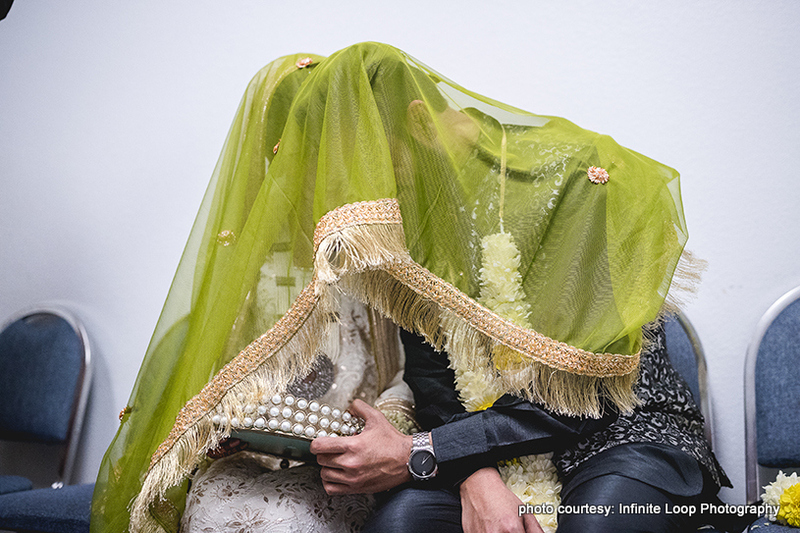 When he saw her again at a mall, he asked for her help in finding a birthday present for his cousin. 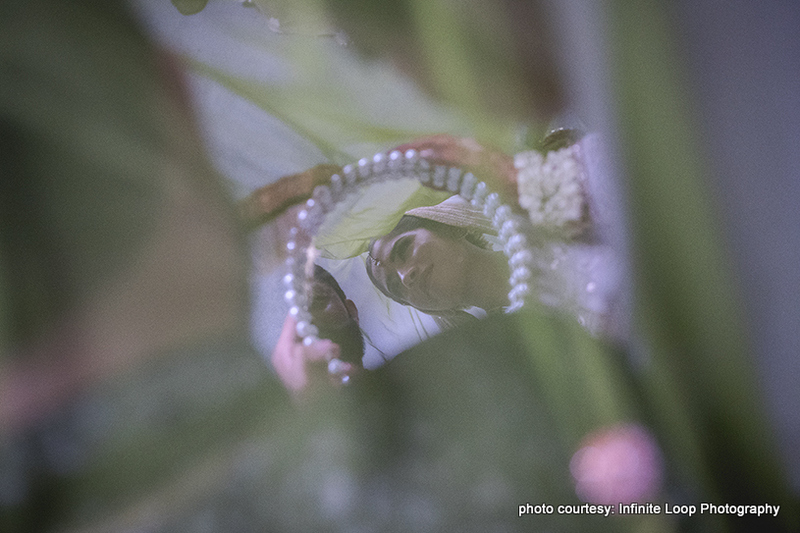 Whether they found that present or not is not clear, but after spending an entire day together, they did find something better – love! 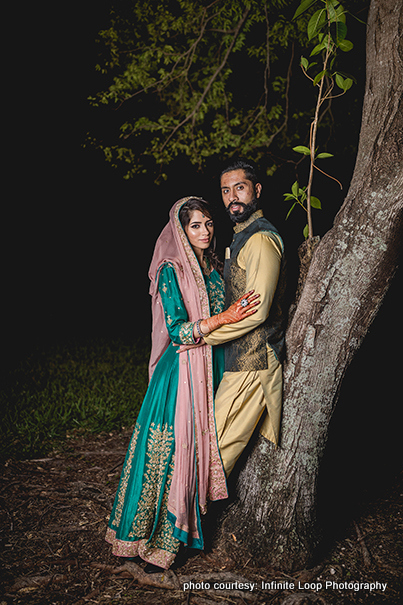 Six months later, Mariam and Waqas were engaged. 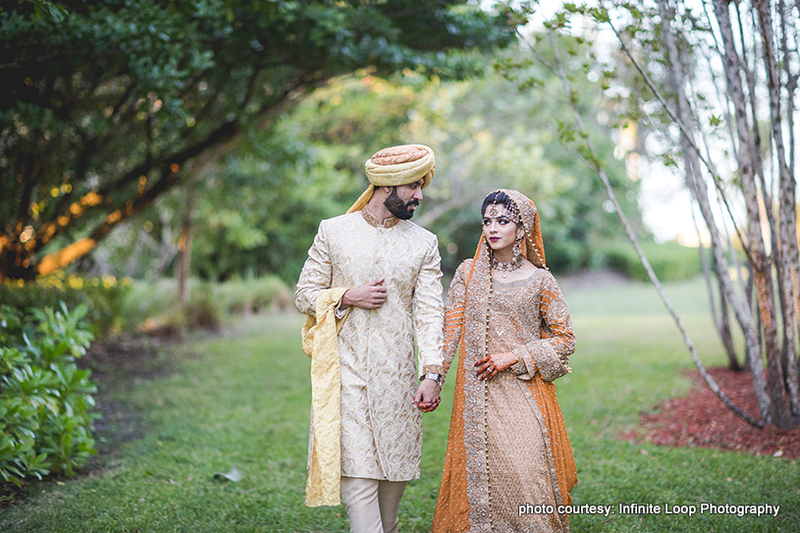 One and a half years later, they married in Boca Raton, Florida. 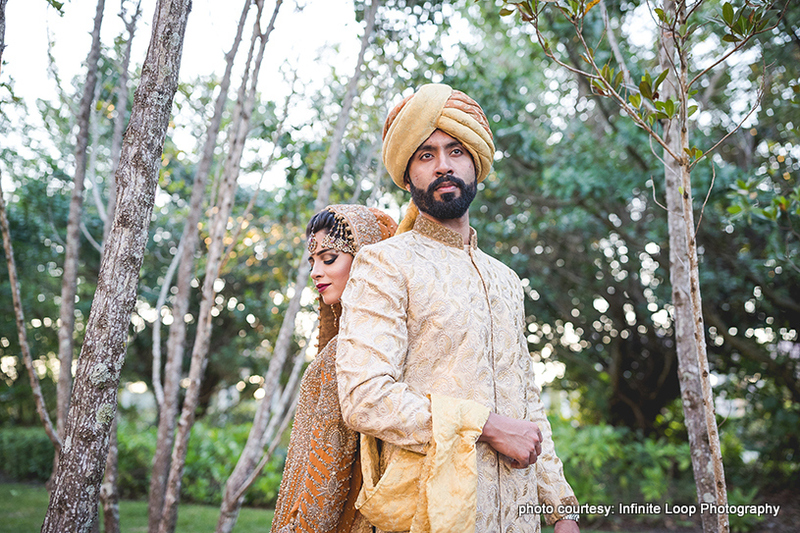 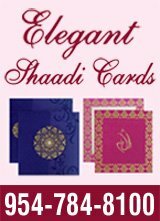 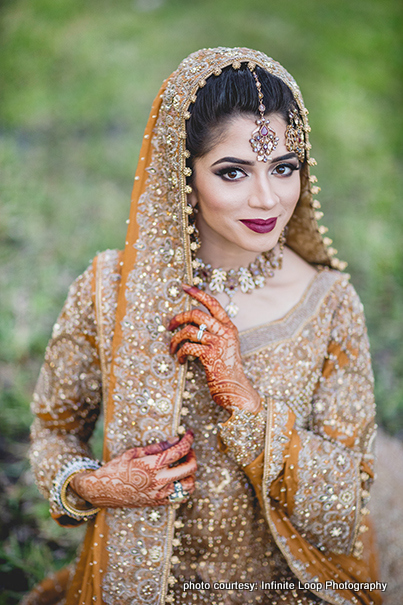 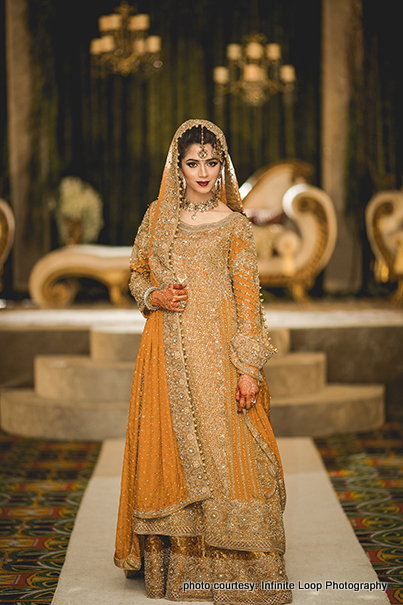 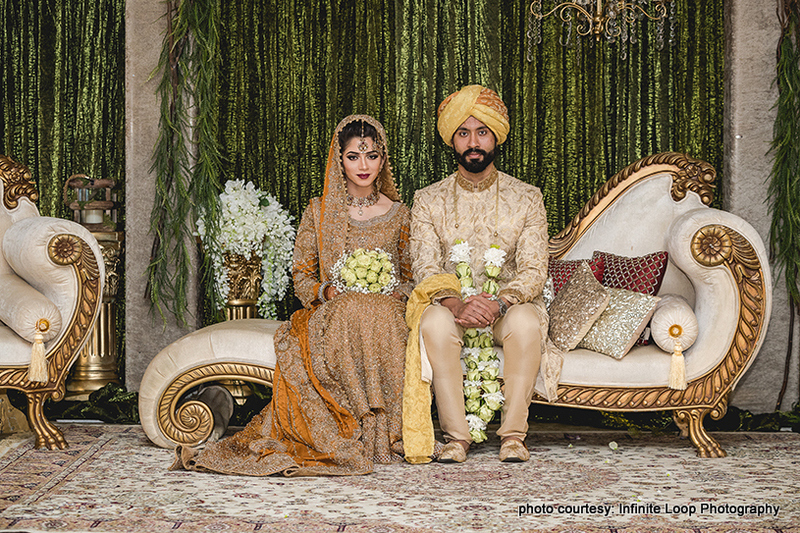 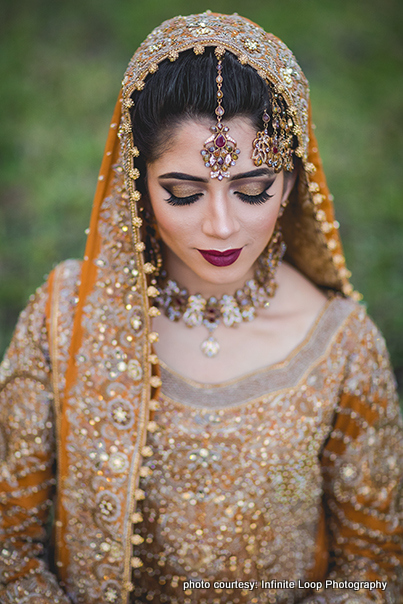 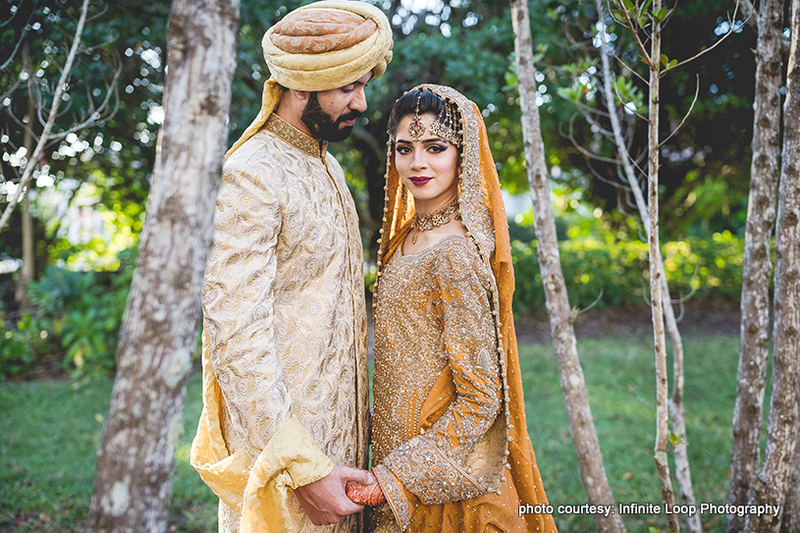 Mariam and Waqas had a four-day wedding celebration that included a sangeet, baraat, Nikkah, and Valima. 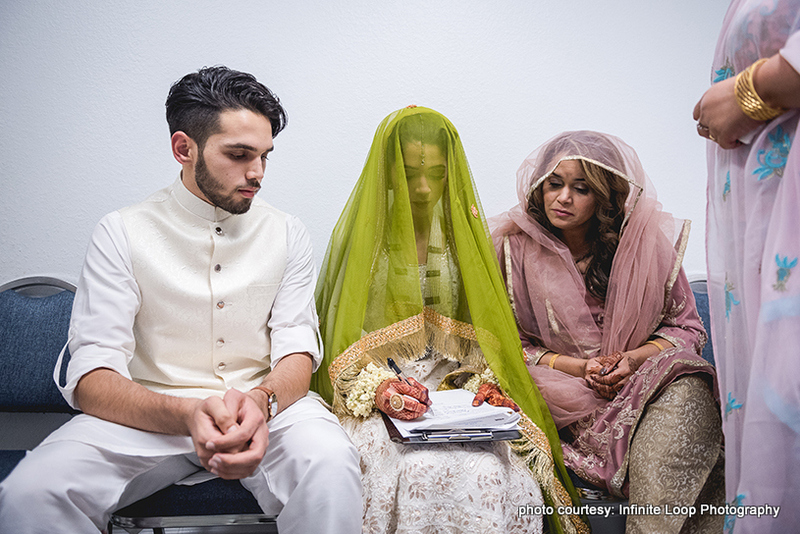 Rather than hiring a wedding planner, the couple decided to take care of things themselves. 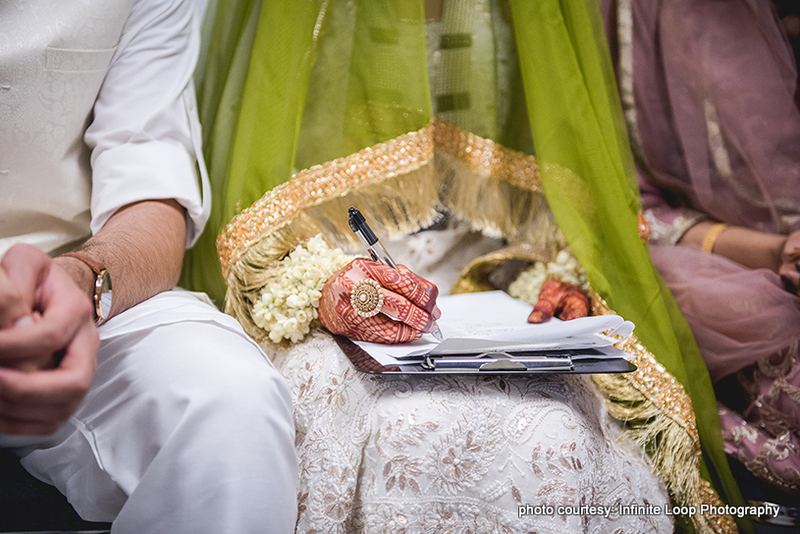 While Wagas took care of the vendor selection, Mariam handled the decoration details. 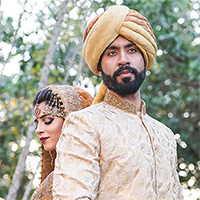 Waqas interviewed 30 different photographers and videographers, and 16 different cake bakers before selecting the best vendors for their wedding. 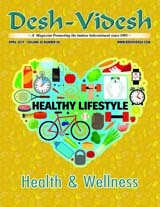 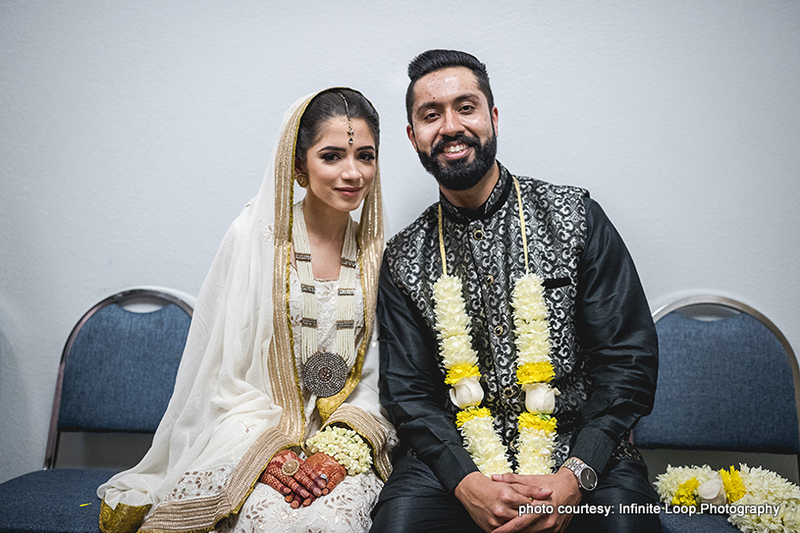 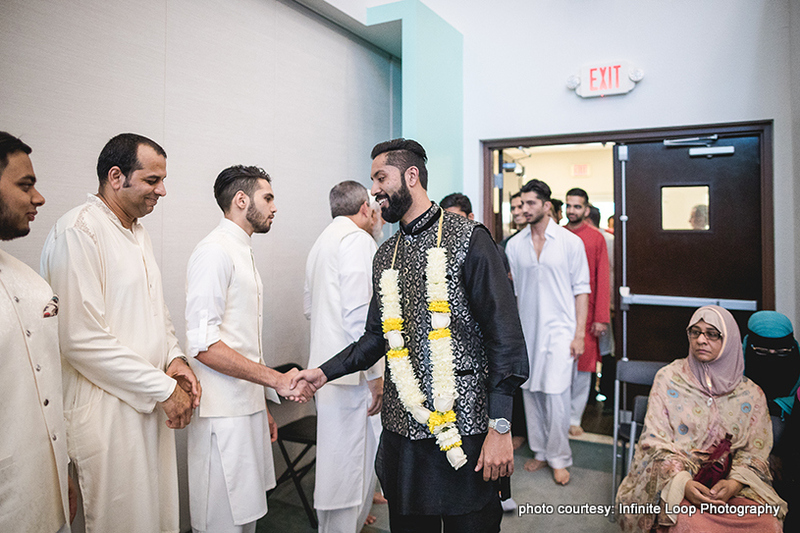 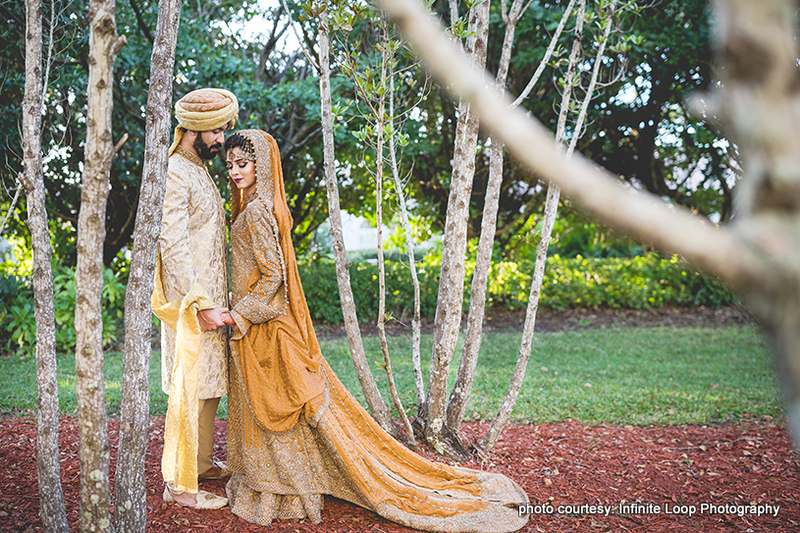 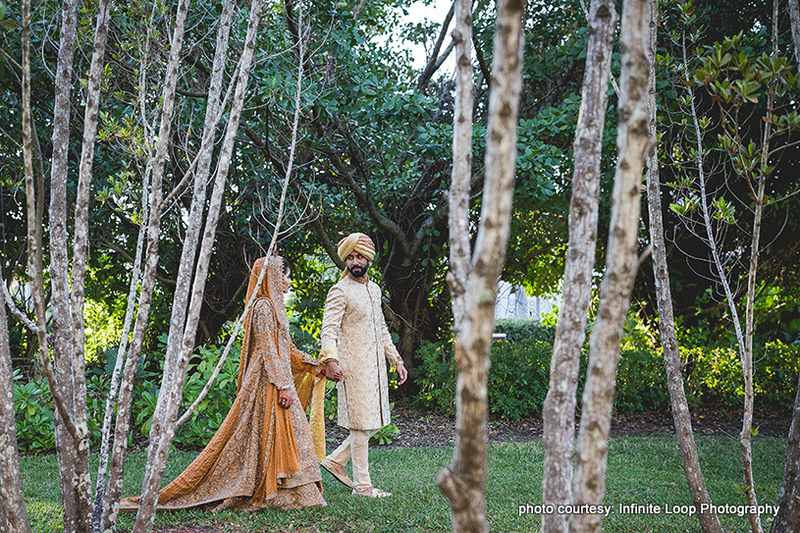 Their colorful Sangeet celebration was held at Florida International University’s Kovens Conference Center. 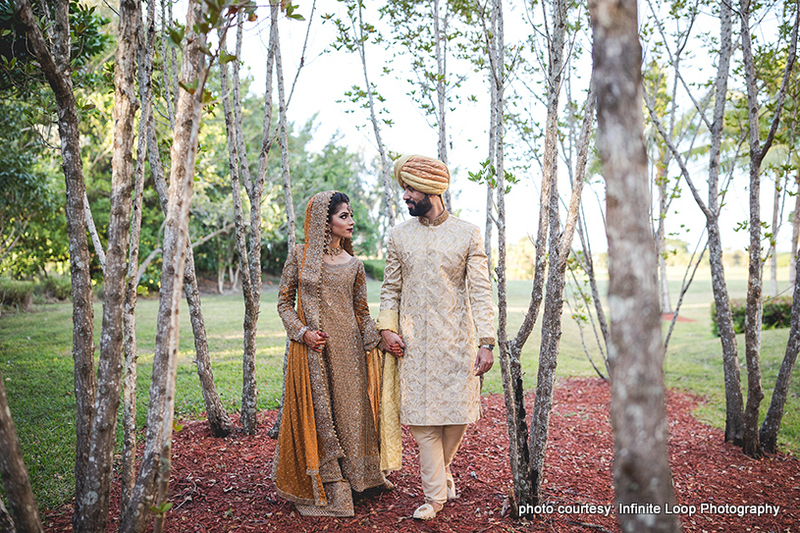 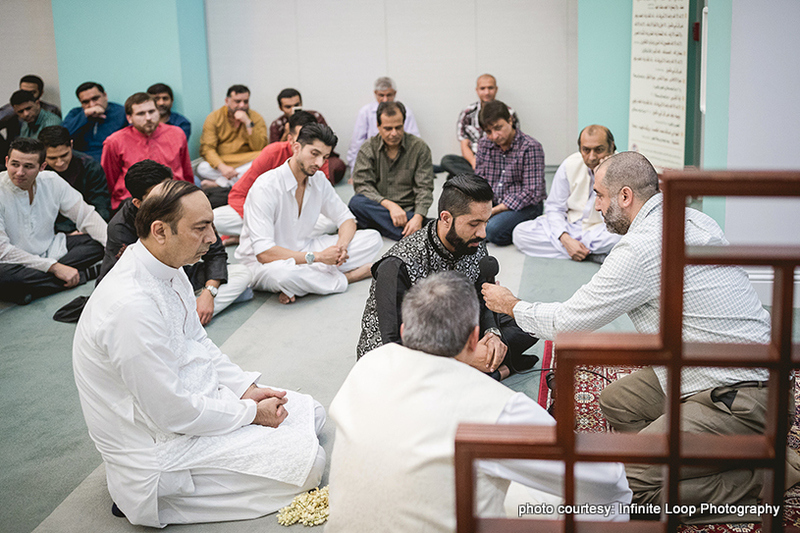 The Nikkah took place at the Islamic Centre of Boca Raton. 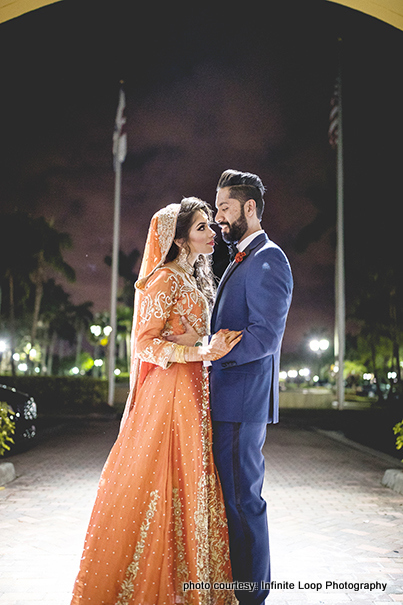 Wagus and Mariam’s Valima (reception) was held at the Fort Lauderdale Marriott Coral Springs Hotel Golf Club & Convention Center. 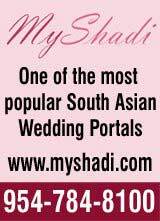 During the Sangeet ceremony, there were several special performances from the groom’s side. 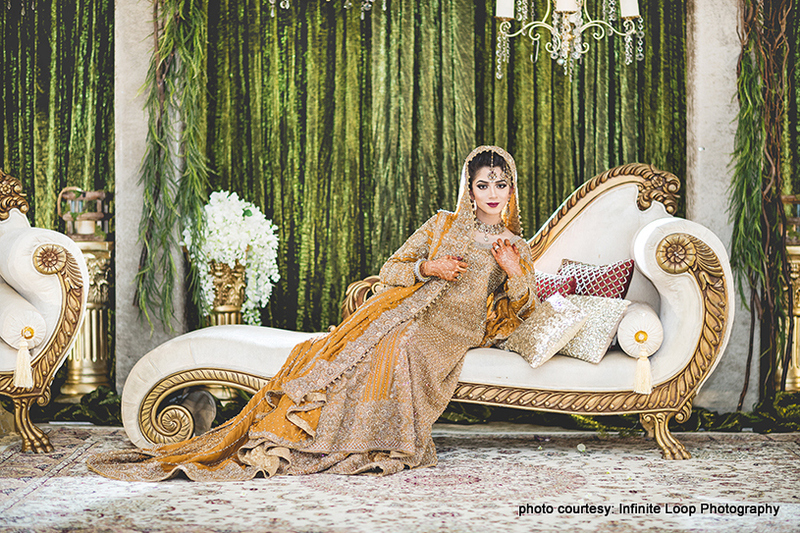 Even Mariam and Waqas surprised their guests with a special dance performance. 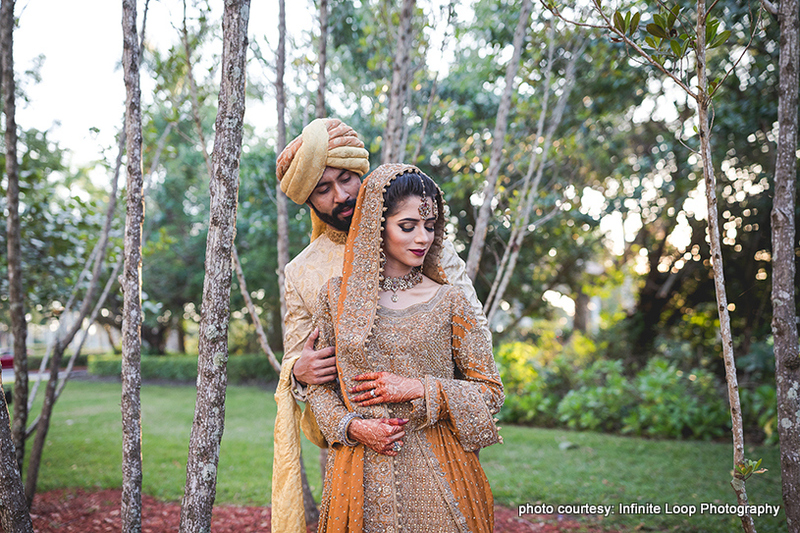 For the reception, the couple chose a playlist complete with just Bollywood tracks; apart from their first dance song, which was “Perfect” by Ed Sheeran. 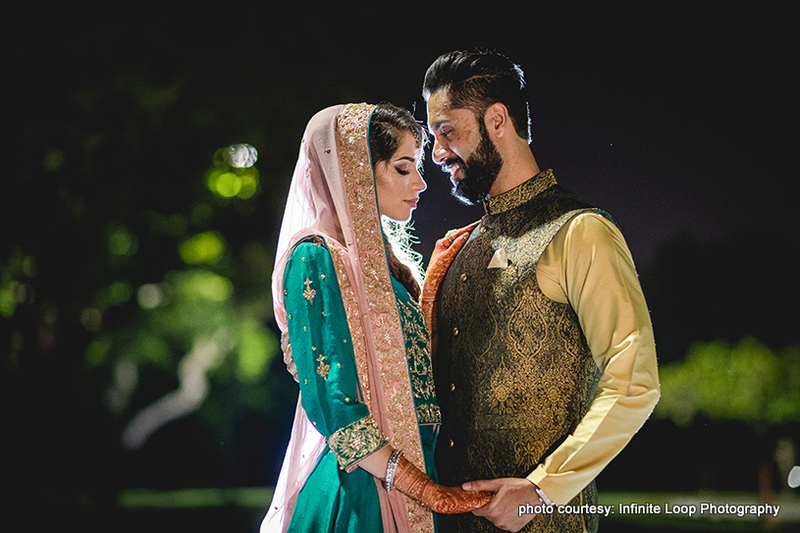 When discussing the most memorable ‘wow’ moment from their wedding, the Waqas shared a very special memory. 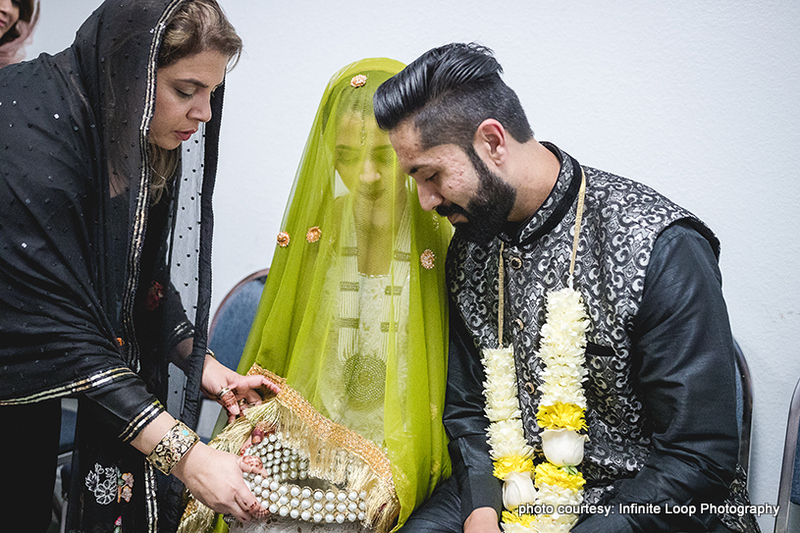 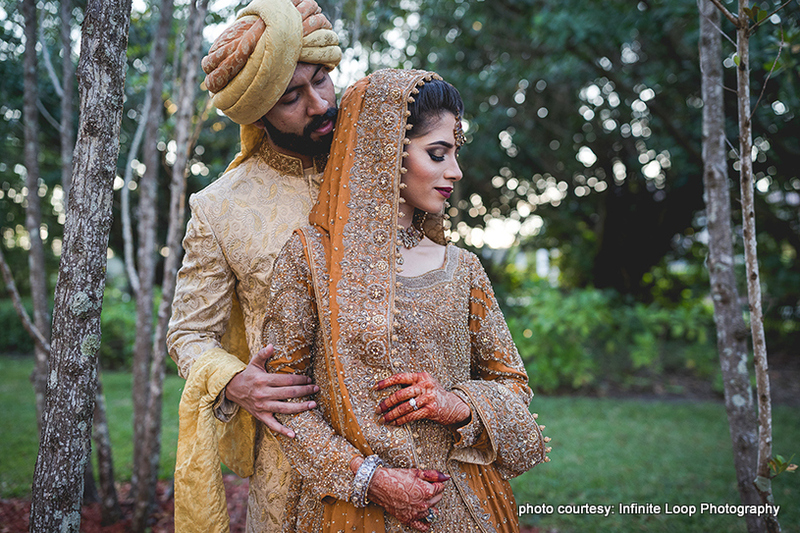 “When I first saw her (Mariam) dressed up on our Baraat day, I couldn’t believe I was going to marry the most beautiful bride I’ve ever seen,” he said.